Already registered, click the LOGIN tab to log in. Why register on The Hoarde? 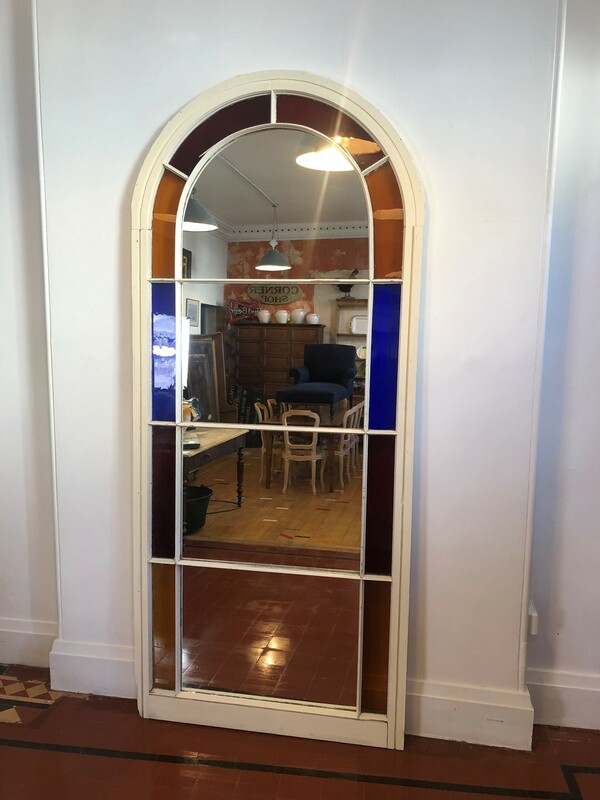 A large arch floor standing stain glass Devon window mirror - New mirror plate. 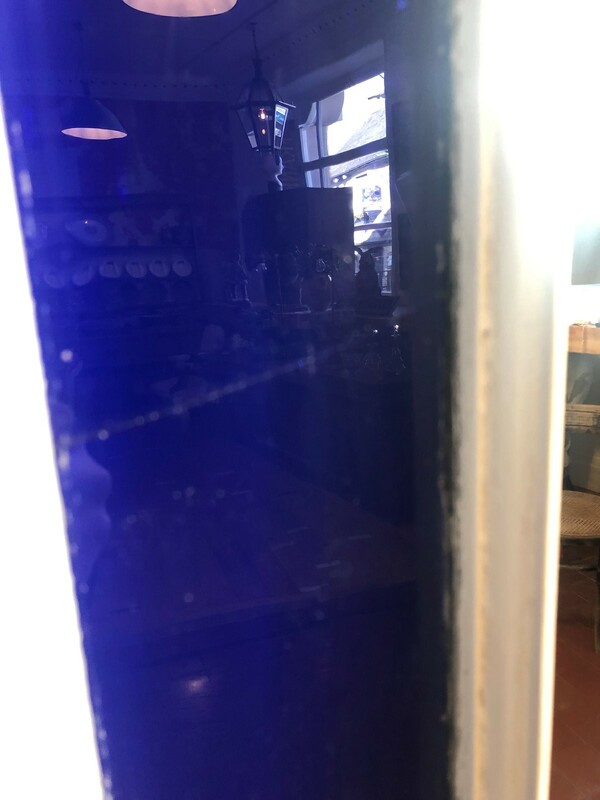 The frame is in good overall condition and the mirror is ready to use, two minor splits to the frame which doesn’t effect the mirror and one blue pain of glass has a hairline split but is hardly noticeable. 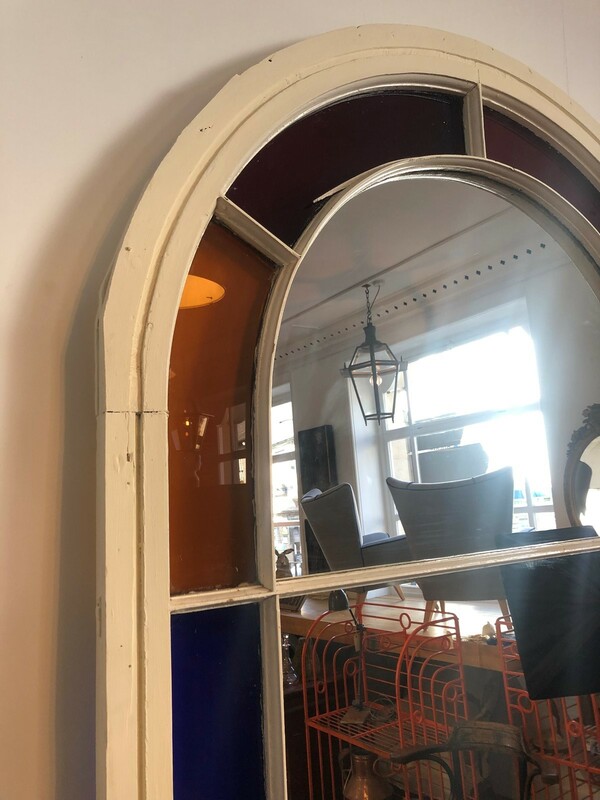 We are a family run business who share a passion for Interiors, antiques, vintage and up-cycled pieces which are sourced from all over the UK and Europe. We also specialise in re-upholstery and pride ourselves on our attention to detail and our customer service. We have recently opened up our first antique and interiors shop in wonderful town of Ashburton, right on the doorstep of the Dartmoor National Park. The address is 15 East Street, Ashburton, Newton Abbot, Devon TQ13 7AD and are open Monday to Saturday, 10am to 5pm. We offer a professional and quick delivery service. All our items are packed with care. Fill in the form below to request a delivery quote from the Dealer. Please provide full address and type of property. The Hoarde is one of the UK and Europe’s top marketplaces to buy and sell antiques online.